Jane has been a member of the C.D.S. staff since 1993. 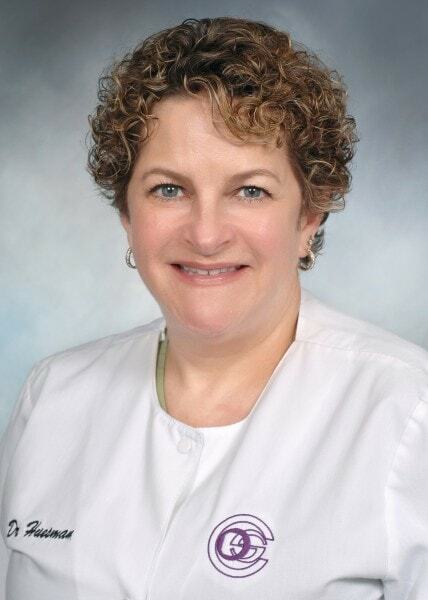 She is a 1987 graduate of the Ohio State University College of Dentistry with an undergraduate degree in zoology from Miami University in Oxford, Ohio. Dr. Huesman is a native Cincinnatian. She is a graduate of Anderson High School. Prior to joining C.D.S. she practiced in Cincinnati for six years as an associate in another practice. Dr. Huesman's areas of special interest include restorative and cosmetic dentistry. She is a member of the O.K.I. Dental Study Club. In her free time she enjoys crafting, reading, traveling, shopping and cooking. She is married and the mother of two daughters.